Hot off the trail of a fantastic 2018, which saw her latest feature documentary ‘The Farthest’ pick up an Emmy and an IFTA, Irish director Emer Reynolds has revealed plans for her next project. ‘Phil Lynott: Songs For While I’m Away’ will explore the life and music of Thin Lizzy lead singer and rock icon Phil Lynott. 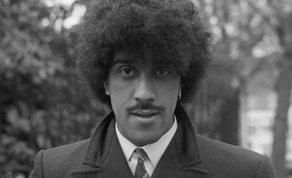 The feature doc will trace how a young black boy growing up in working class 1950’s Dublin became one of Ireland’s greatest rock stars as frontman of Thin Lizzy. Lynott who met his untimely death in 1986 at the young age of 36, was born in Birmingham to a Brazilian father and Irish mother. The feature documentary is being produced by Alan Maher and John Wallace of Ireland’s recently formed Cowtown Pictures. Joining them is Peter Worsley of London-based music documentary specialists Eagle Rock Films who will produce for Globe Productions who are part of Universal Music Group. The film is supported by Screen Ireland with the international rights being handled by Eagle Rock. ‘Phil Lynott: Songs For While I’m Away’ will feature a number of well-known musical talents as contributors including Thin Lizzy’s Eric Bell, Scott Gorham, Darren Wharton, Midge Ure, U2’s Adam Clayton, Suzi Quatro, Huey Lewis, Skid Row’s Brush Shiels, and Metallica’s James Hetfield.